TM Networking Day (TMND) with Lexis Hotel Group was held on the 13th of October 2016 at the MOTAC Multipurpose Hall. It was held from 11am to 2pm and was attended by 365 guests from TM, MOTAC and ITC. Present at the event were several VIP representatives from Tourism Malaysia and Lexis Hotel Group. The event started off with a welcoming performance by Lexis Hotel Group. After speeches from YBhg. 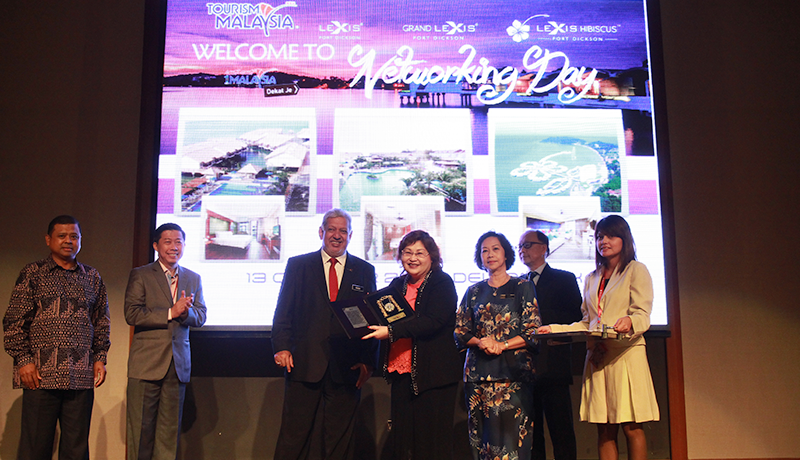 Datuk Seri Mirza Mohammad Taiyab, Director General of Tourism Malaysia and Mr Steve Voon, Senior Vice President of Sales and Marketing for Lexis Hotel Group, the exchanging of mementos between Tourism Malaysia and Lexis Hotel Group was carried out. There were also screenings of MTA, Dekat Je and Lexis Hotel Group promotional videos. The main highlights of TMND with Lexis Hotel Group were voucher sales for Lexis Suites Penang, Lexis Hibuscus Port Dickson, Grand Lexis Port Dickson and Lexis Port Dickson and also demonstrations of the activities available at the hotels, where guests were given the opportunity to try out several activities. The activities available to try were the Ninebot Ride, Tandem Bicycle Ride, Mini Golf and Head and Shoulder Massage. Other attractions of the event were food trucks and photo booths. At the end of the day, 114 vouchers were sold and 10 lucky draws were carried out before the event wrapped up at 2pm. This is the second TMND event held in 2016. The first TMND held in June featured LEGOLAND Malaysia Resort. For more information on TMND and other events held by Tourism Malaysia, log on to http://www.tourismmalayasia.gov.my .